Lithium Battery Pack Expansion Board integrates an imported lithium charge,boost management chip. 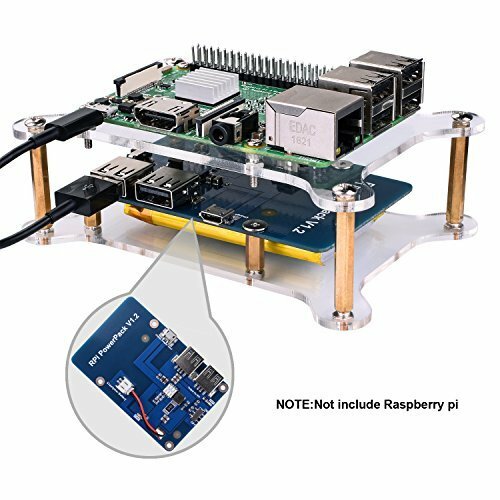 It is made in strict accordance with the size of international raspberry pi HAT extended board HAT. Specially designed for Raspberry pi,which makes Raspberry pi work up to 9 hours. Easy to install, you can use provided fastening standoffs, screws and nuts to fasten your Raspberry pi board. If you have any questions about this product by Kuman, contact us by completing and submitting the form below. If you are looking for a specif part number, please include it with your message.